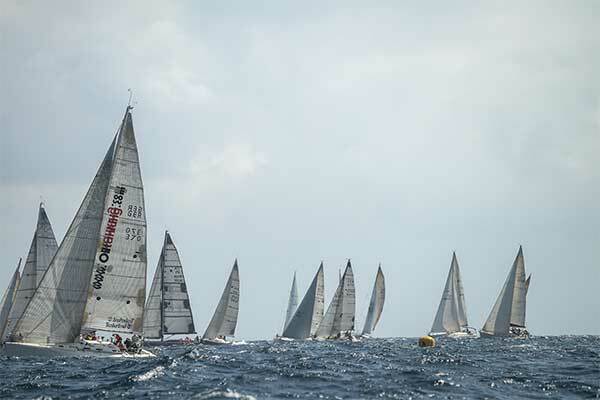 Dating back to the sixties, the Malta-Syracuse Race, organised by the Royal Malta Yacht Club in conjunction with the Lega Navale Italiana (Sezione Siracusa), is the oldest race on the Club’s calendar. A very popular race, well attended by Maltese and Sicilian boats alike, this race has also become a highlight of the Sicilian racing calendar. Now in its 56th edition, the 85 nautical mile race will start in Malta and will take place on Saturday 16th July and boats from Sicily are expected to start arriving for the event a few days before the Skippers’ Briefing, which will take place on Friday 15th July on the Club’s roof at 19:00hrs. The Malta-Syracuse Race, typically attracts a fleet of over seventy boats with the highest participation registered in 2010 when the race celebrated its fiftieth year. In 2014 Massimo Savoca’s Dreamer Tech established a course record when he completed the race in 08:37:22. With last year’s weather conditions making it impossible for crews to beat the time clocked by Savoca in 2014, the gauntlet has been thrown to boats wishing to register a new record. The prize-giving ceremony will take place at the Lega Navale in Syracuse on Sunday. Registrations are being accepted at the Club’s Secretariat during office hours throughout the week. More information on the 56th Edition of the Malta-Syracuse Race can be found on www.rmyc.org, alternatively contact the Club Secretariat on +356 21 333109.